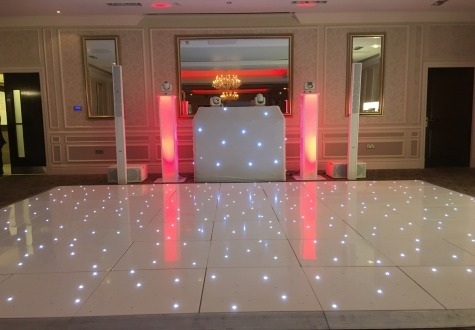 Stunning White Disco’s for every occasion! Introduced by Magnum in early 2017 our white premium disco has been a huge hit for customers looking for something more than just a disco. 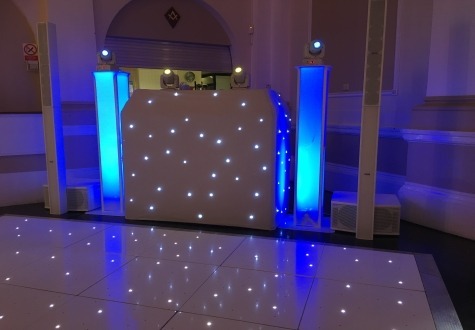 Our white premium disco is a statement in itself with its clean crisp white look fitting perfectly within the wedding industry standing out against any others provided throughout the area. With the top of the range FBT and LD sound systems used which are some of the best available on the market the sound quality is sharp and crisp as you would expect from a premium product, lighting is something that people take for granted but we believe that having a simple yet effective lighting is just as important to a high quality sound system therefore all of our premium disco’s come with “moving heads” linked together to give an impressive show. Our Premium discos are truly spectacular when you see them ‘in the flesh’. Every song played sounds like the artist is in the room performing it live, with a light show to fit. As you can see just by the images we have shown, our premium discos are clean, fresh and completely tidy. No loose cables, no tables, and nothing that could potentially cause damage to guests on on your special day.